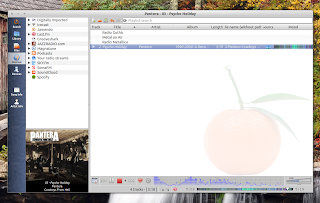 Clementine, a cross-platform music player inspired by Amarok 1.4, has reached version 1.1, getting podcast support with gpodder.net integration, modbar support along with other new features. Clementine already had support for quite a few online services, such as Grooveshark, Spotify, Last.fm, Icecast, Jamendo, Magnature and others, and even more were added in the latest Clementine 1.1.: Soundcloud and jazzradio.com. The changelog also mentions support for indexing and playing music from Google Drive, but this feature was missing in my test, either because of a bug or maybe this feature is not available for Linux users yet. Clementine binaries are available for Ubuntu, Fedora, Debian, Mac and Windows and can be downloaded from HERE, along with the source code.